You're in for a treat! Let's warm our body mind and soul this winter with a beautiful evening of meditation, mantra, music, chai and nourishing treats. 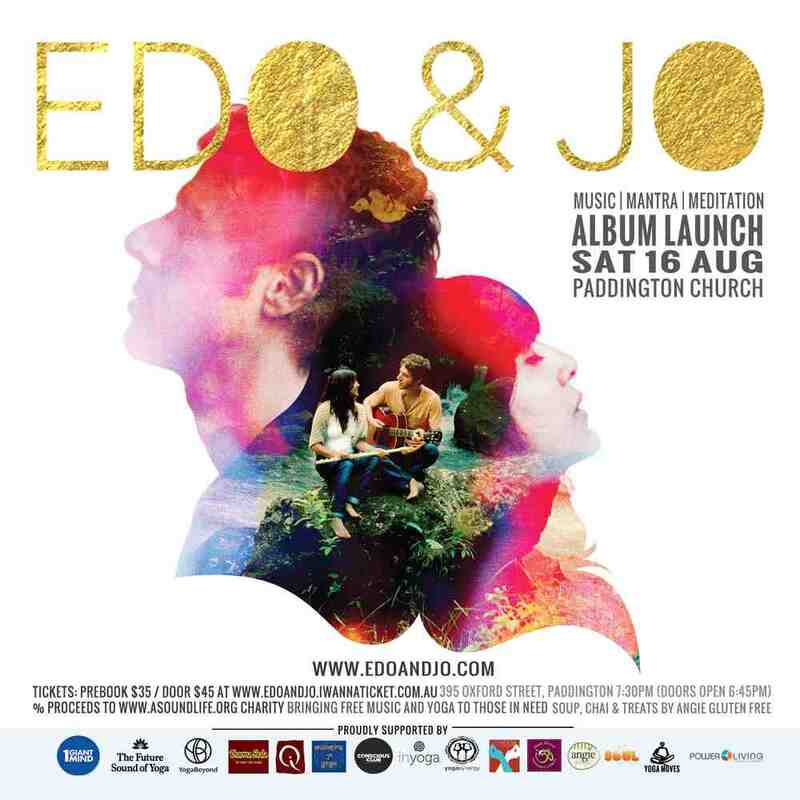 Edo and Jo, acclaimed mantra musicians and singer/songwriters release their eagerly awaited new albums - Bliss and Chakra Meditation CD - and the Top 12 Yoga Schools in Sydney are getting behind it! Edo and Jo live half the year in a rural village in South India immersed in the ancient vedic tradition of mantra and bhakti yoga. The two-year journey of writing and recording these new cds spans two continents, contrasting locations and inspirations. From a little village recording studio to the famous Indian composer A.R Rahman's studio (Slumdog Millionaire) in Chennai, flying across the ocean to Sydney's Alberts studios home to Australian icons Easybeats and AC/DC, you are left with a unique sonic palette of classical Indian instrumentation, vintage keyboards/organs, eclectic beats and electric guitars to marry the ancient with the modern. Soothing, uplifting, mesmerizing and electric! The evening will be a joyous and deep experience, starting with a meditation led by Conscious Club co-founder Gary Gorrow and flowing into the bliss of chanting with Edo and Jo. "These records have been made possible due to the support of a beautiful community and family of dear friends who have given so generously to our pozible crowd funding campaign. Thank you for making this new music a reality! We hope you enjoy the records... we will get you the cds before the launch!" Soup, chai and treats will be available on the night by Angie Gluten Free. CDs will be available on the night for $25. Chidren under 13 years free!